Providing you the best range of pvc imitation marble board and pvc foam board with effective & timely delivery. Application Home, Hotels, Restaurant, Shopping Malls etc. Imitation marble board using improved formula of PVC as the base material, and the surface through UV special processing. Surface simulation marbling wood grain, etc. simulation is as high as 99.5%. With the new product advantage, it subverts the traditional interior wall is given priority to with ceramic tile marble decoration pattern, leading fashion decorate. Widely used in indoor decoration materials, such as tunnel, subway, airport, hotel, Entertainment venues , hospital, shopping malls, KTV, office, kitchen, bathroom Home Furnishing background wall, laboratory and other places. Especially is the ideal decoration material in humid environment! The application prospect is very broad. Imitation marble decorative board, has sound insulation, sound-absorbing, heat insulation, thermal insulation properties. PVC imitation marble board has a flame retardant, self-extinguishing no fears of fire, safe to use. PVC imitation marble decorative all series of products have moisture-proof, mold proof, not the performance of water absorption, and good shock-proof effect. PVC imitation marble board of the series formula made after weathering, the color may be a long time, not easy to aging. PVC imitation marble decorative plate light texture, storage and transportation, convenient construction. PVC imitation marble decorative use general woodworking tool construction. PVC imitation marble board applicable to the thermoforming, heat bending and folding process. PVC imitation marble board surface is smooth, easy printing. 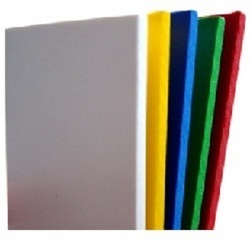 For our esteemed customers, we bring forth for our customers PVC Foam Board. 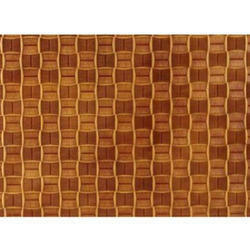 These foam boards come in waterproof and mould proof finish and finds extensive use in kitchen and washroom cabinets. It gives other natural advantages of Moisture resistance and Termite resistance. Made from fine grade materials, these also come with excellent durability as well as in lightweight finish. Our product range is available in different sizes and designs according to the client’s requirements.